The Foe community near Lake Kutubu in the Southern Highlands Province is set to put on another spectacular cultural event, when the 8th Kutubu Kundu and Digaso Festival begins today (Friday, 21 September 2018) thanks to the support of Oil Search and other sponsors including Exxon Mobil PNG and Mineral Resources Development Company (MRDC). The Kutubu Kundu (drum) and Digaso (oil) Festival held annually is an initiative of the Kutubu Foe Culture group and Oil Search has been a proud sponsor of the event since its inception in 2011. The Company donated more than K12,000 in kind (rations, 400L of diesel and gasoline and waste collection material) on Monday, to help stage the event which will be held from 21 - 23 September in Daga village, Kutubu with the theme “Yumi mas kirapim bek yumi yet”. The theme encourages communities to support one another in rebuilding their lives and to be self-reliant following the devastating earthquake in February. Oil Search and Oil Search Foundation (OSF) played a critical ‘First responder’ role with K16m donated in cash and kind to support disaster relief efforts, moving over 200 tonnes of food and supplies to affected villages mainly by helicopter reaching over 200,000 people. The Company remains committed to long-term recovery and restoration activities which include a major immunisation programme to combat communicable diseases, rehabilitation of health facilities, addressing water, sanitation and hygiene needs through the work of OSF. 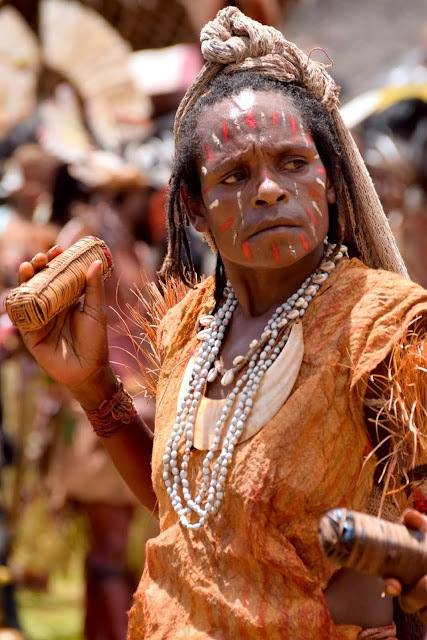 The Kutubu Kundu and Digaso Festival will feature a colourful array of traditional singsings, art and craft and cultural demonstrations from more than 20 groups from Kutubu, Bosavi, Nipa, Moran and Kikori. Other activities will include canoe racing at the famous Lake Kutubu, bush trekking, swimming and diving at Gese Island.